Lovely and yummy, Matcha dessert shop "Matcha cha" with its signature Matcha soft-serve ice cream is making Sawtelle debut on March 31, 2018. Enjoy the authentic Matcha flavor delivered from Kyoto, Japan! 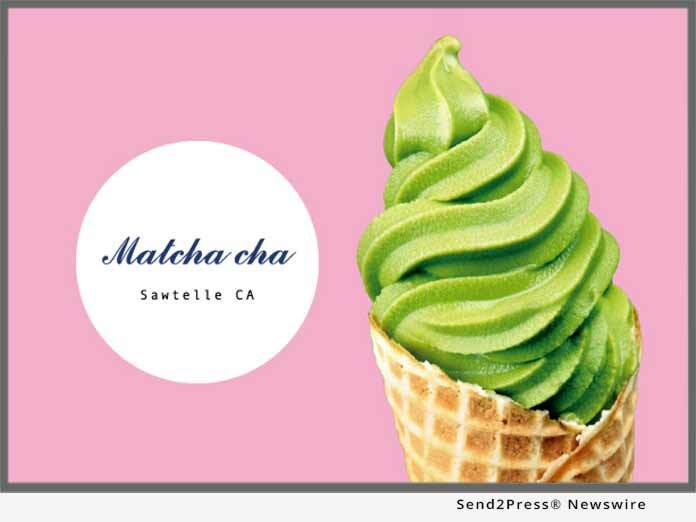 (LOS ANGELES, Calif.) -- NEWS: Lovely and yummy, Matcha dessert shop "Matcha cha" with its signature Matcha soft-serve ice cream is making Sawtelle debut on March 31, 2018. Enjoy the authentic Matcha flavor delivered from Kyoto, Japan! For the first 100 customers to visit Matcha cha during 12 p.m. to 1 p.m. and 8 p.m. to 9 p.m. each day from March 31 and April 1, a FREE Matcha Ice Cream is on the house! What's more, the first 100 customers to visit Matcha cha during 11am to 12pm on 4/2 will get a FREE Matcha Latte! And - we have even more surprise for you! If you are on Instagram, don't forget to capture our super Instagrammable dessert to enrich your photo gallery! The best part is, customers who take a picture of Matcha cha and post on Instagram during March 31 to April 2 can be chosen as "the Most Photogenic." The winners receive the Premium Gift Card from Matcha cha - 1st place $300, 2nd place $100, 3rd place $50! Of course, we have also prepared the "Thank you very matcha" prize and various gifts to other customers. Please do not hesitate to let us know if you have any questions. We look forward to seeing you soon at our shop and events!! Hours: 11 a.m. - 12 a.m.
Lovely and yummy, Matcha dessert shop "Matcha cha" with its signature Matcha soft-serve ice cream is making. Matcha cha, which will open on March 31 in Sawtelle, West Los Angeles. Enjoy the authentic Matcha flavor delivered from Kyoto, Japan. *Web image caption: Photo by Ocean Photo Studio / WANANN, Inc.